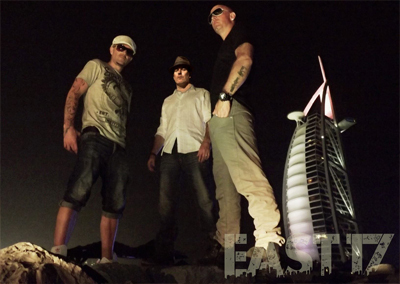 East 17 are an English pop boy band formed in 1992. The group have achieved eighteen Top 20 singles and four Top 10 albums, and were one of the UK’s most popular boy bands during the early to mid-1990s. 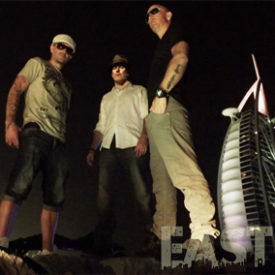 They occasionally blended rap and pop in songs such as House of Love , Steam and Let It Rain , attaining popularity as a result of the group’s songwriter Tony Mortimer and lead vocalist Brian Harvey.East 17 scored twelve Top 10 hits on the UK Singles Chart between 1992 and 1998. Their debut album, Walthamstow, shot to #1 on the UK Albums Chart. It featured a string of Top 20 singles, including House of Love and Deep . It’s Alright became a major success in Australia, reaching #1 in early 1994 for seven consecutive weeks, and #3 in the UK in 1993. The lyrics to some of their songs, such as Let It Rain , had political undertones, talking about war, peace, equality, love, and other political issues. Their popularity reached Mongolia, particularly with the song It’s Alright , helped by music television channels, Channel V and MTV. In 1994, upon the release of their second album, Steam , they scored their only UK number-one single with Stay Another Day , which remained at the top for five weeks and was also that year’s Christmas number-one. Following the somewhat low-key release of the next album, Up All Night , their drop in appeal became apparent compared to previous albums. The album’s songwriting duties were split among the four members of the group, rather than Mortimer alone, although all of the singles released from the album were penned by him. East 17 also appeared on the Childliners record The Gift Of Christmas, alongside acts such as MN8, Boyzone, E.Y.C., Sean Maguire, Deuce, Ultimate Kaos, Let Loose, Backstreet Boys, Peter Andre, Michelle Gayle and Dannii Minogue. In 1996, the group hit #2 with the track If You Ever , a duet with the singer Gabrielle. In 1997, Harvey was engulfed in a drug-related controversy when he claimed that he took twelve Ecstasy pills in one night, stating that It’s cool to take drugs and claiming that Ecstasy can make you a better person . The act went against the group’s boy band image, and there was a huge media uproar, leading to questions being raised by John Major in the House of Commons. With the group’s career and reputation tarnished by the affair, Harvey was sacked and Mortimer decided to leave several months later, due to creative differences between himself and the rest of the group. The band’s split in 1997 has been described as one of the greatest break-ups in pop history . On 4 February 2006, Harvey appeared on the UK music television show CD:UK, where he announced that East 17 might make a comeback with its four original members. In mid-February 2006, the group reformed, and played their first comeback concert on May 30 at the Shepherd’s Bush Empire in London. After reforming for the one-off gig, it was reported that East 17 had split up again, since Hendy was unable to fully commit to the band because his roofing business took up a lot of his time. Friction also flared up again between Harvey and Mortimer, who were involved in a punch-up, resulting in the latter’s departure, with the remaining members continuing to perform as a three-piece at various club events. East 17 continued to perform as a three-member group without Mortimer. They played at the University of Strathclyde on September 24, 2006, after DJ Colin Murray was unable to attend. Since then, the group has performed in clubs around the UK. A new single, F*** That was due to be released in early 2008, but was ultimately cancelled. The group performed at the 2009 Glastonbury Festival on 25 June in the dance lounge. In November 2009, all four members of the band re-united again in aid of the Born Free Foundation, performing two of their best known songs— Deep and Stay Another Day —for the Wild & Live! event at the Royal Albert Hall. After the performance, the band agreed that it would be best if they never sang together again, however, according to a BBC Radio 2 interview with Zoe Ball in December 2009, songwriter Tony Mortimer mentioned that the band are on ‘talking terms’.